Fremantle – it really is a city of magic. It has this atmosphere that is truly electrifying. For those that have not venture to this part of the world, Fremantle is encased with historical buildings dating back to the 1800's. The heritage society has invested a lot of time, and money, to ensure these buildings are preserved, and thankfully so, because Fremantle is truly a sensational town. There is something magic about trains that states: an Adventure awaits! It has a sense of everything from a harbour to trains to a retro cafés and everything in between. However, there is one little place I love to go. It is close enough to the ocean that you can hear it, yet close enough to the train station to trigger back all those childhood experiences. There is just little something about sitting by the train station while having a cup of coffee! And, the bonus is that you can also see all the ships come and go. A place where 3 major elements come magically together! A place in the "sun"! This little magic place can be found by Victoria Quay and is open 24/7. Yes, you are not seeing things. 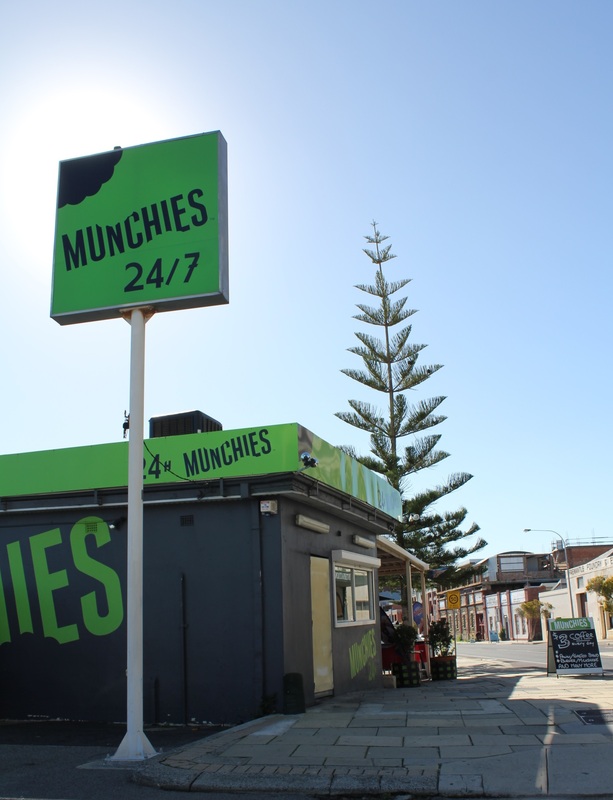 Munchies are open every day for 24 hours. What a clever idea! They generally cater for the whole population. And, I am sure you remember those times when you wished you could just get something to eat during the hours when everything was closed? Specials every day and every week. 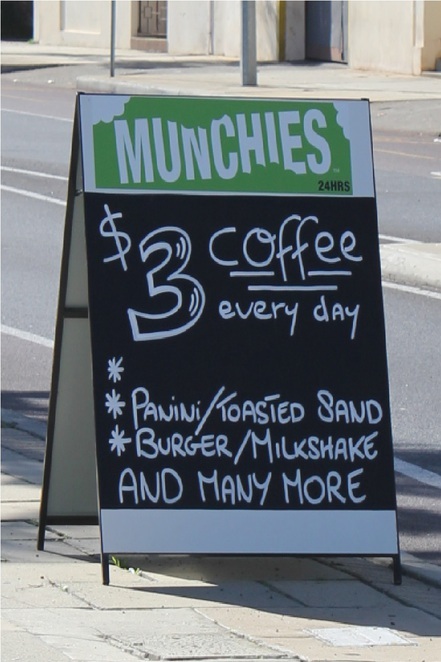 Munchies run weekly specials. For me, it was their coffee special that was a highlight. Which meant my experience was under $5.00. Wow! If you are looking for a little magic in your life, why not venture down and enjoy the sea, trains and historical buildings! What a cheap price for coffee! I dont think I would call it a magical experience especially since the later you go the more likely it is to be the chosen hangout for annoying/roudy groups of teenagers (why they're out roaming freo so late?? I suppose thats their parents problem) but definitely a good option being open 24/7, decent food and friendly service. Great option if you've gone to a late movie or event and just want to grab something to eat or a coffee with your friends before heading home.